It is always heartbreaking to see a wild animal held in captivity! Even in Zoos! However, at least in zoos they take good care of animals most of the time, and they employ experts who know what those animals need to lead relatively normal and healthy life. That does not change the fact that they are caged though. To keep a wild animal in private ownership – that is a completely different matter altogether! In the recent past a lot of circuses and private “entertainers” used to capture and train bears to perform various tricks for money. They’d take them from place to place, to fairs, gatherings and whatnot. It goes without saying that this kind of life is full of suffering for these wonderful animals. This video tells a story about Fifi, a beautiful 30-year-old bear who lived a life not unlike the one we have described above. For the first ten years of her life she was forced to perform confusing tricks, and she spent the rest of her life (around 20 years) in a small rusty cage with concrete floor. When PETA and The Animal Sanctuary discovered her in 2015 she was extremely thin and she suffered from untreated arthritis. After spending only 5 months in The Animal Sanctuary’s wonderful facility in Colorado something beautiful happened! The transformation was amazing! 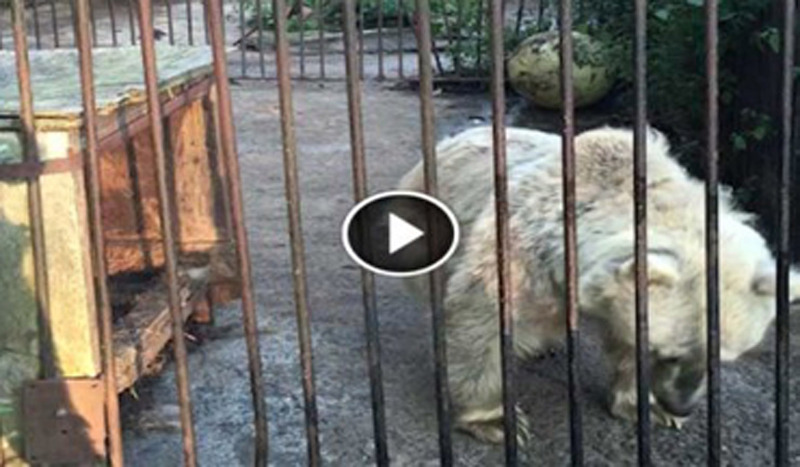 Watch this video to see how Fifi is doing now!